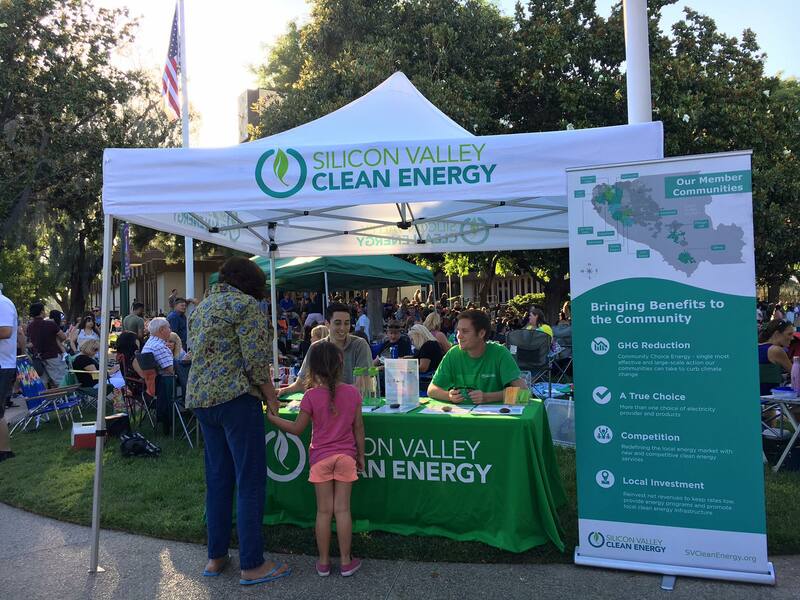 Starting today, Milpitas residents and businesses are receiving carbon-free electricity provided by Silicon Valley Clean Energy (SVCE). The City of Milpitas joins SVCE’s existing member communities, becoming the thirteenth community of the joint powers authority. “Within the first year, SVCE provided clean power to 600,000 residents. This year we are thrilled to be adding over 75,000 Milpitas residents to that success. SVCE has maintained a 97% participation rate, proving that cheaper, cleaner electricity is achievable,” says Courtney Corrigan, Los Altos Hills Councilmember and SVCE Board Chair. SVCE buys clean electricity direct from the source, encouraging the kind of market growth and competition that results in more renewable energy sources and lower electricity generation rates. PG&E continues to deliver electricity over existing power lines, continues to maintain the lines and provide billing and customer service. No physical infrastructure changes are needed in the switch to receive carbon-free power from SVCE. “Joining SVCE will bring environmental, economic, and community benefits to Milpitas residents and businesses. Not only we are reducing our greenhouse gas emissions, but also our residents and business owners will see lower electricity rates by joining SVCE.” Says Marsha Grilli, Milpitas Vice Mayor and SVCE Director. “Santa Clara County aims to be at the forefront of combatting climate change. Reducing our greenhouse gases from the energy sector was one important step to get us closer to our goals,” says Dave Cortese, Santa Clara County Supervisor and SVCE Director. 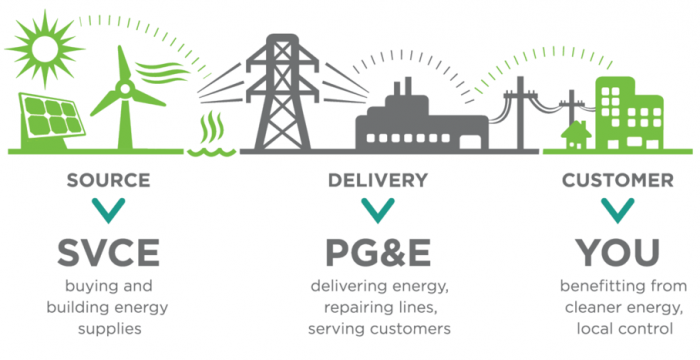 SVCE’s electricity choices for customers includes the default product GreenStart, which is carbon free, and sourced from hydropower and renewable resources such as wind and solar, and costs less than PG&E’s equivalent generation rate. Customers also have an optional upgrade to GreenPrime, SVCE’s premium product that sources 100% renewable electricity from wind and solar, and costs about $3 to $5 more per month for a typical residential customer. Procuring electricity generated from carbon-free sources allows SVCE member communities to make large-scale reductions in carbon emissions from electricity use. In addition, SVCE will advance programs for energy management, energy efficiency and clean, carbon-free electricity in the place of fossil fuels used in transportation, buildings and infrastructure. With Milpitas now being serviced by SVCE, their residents and businesses are now receiving these same benefits as well.